Daltile's Santa Barbara Pacific Sand glazed ceramic floor and wall tile features beautiful color variations and an easy, rustic appearance to personalize your space. 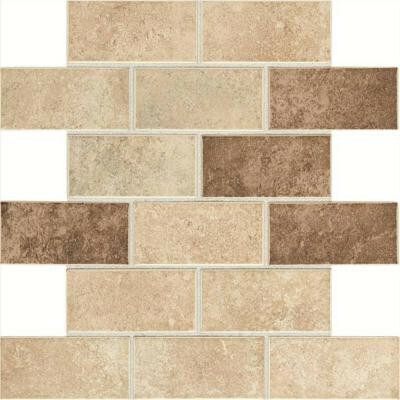 Highly abrasion resistant, this tile is ideal for high traffic areas like kitchens and entryways. In a variety of sizes and trim, the Santa Barbara Pacific Sand Collection provides the pieces necessary to complete your project. You can buy this product in our internet market. We will be glad if you make the right choice. .8333 of a square foot per piece, each piece sold individually. Each piece weighs 2.408 lb.